This Indian python caught the attention of players and employees at Bhubaneswar Golf Club. On Sunday, locals at an Indian golf course discovered an expected morning visitor: a massive snake. 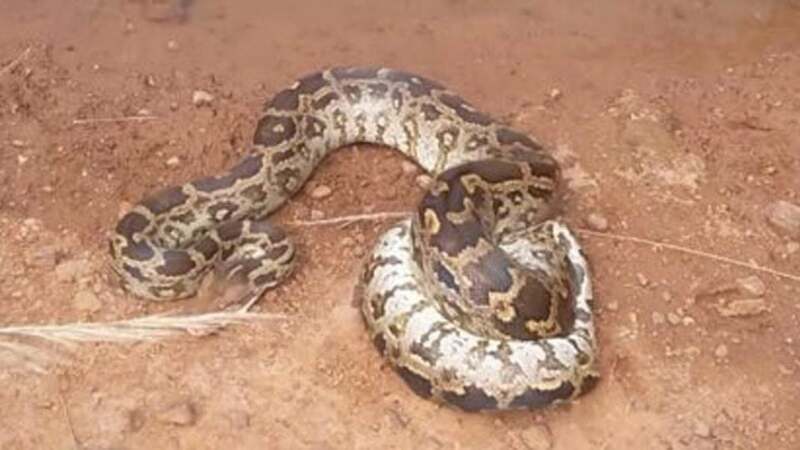 A ten-foot python was found stuck in some fencing surrounding Bhubaneswar Golf Club, according to the Odisha Sun-Times. The newspaper reported that "panic gripped residents" at the discovery of the reptile. But fascination did, too: a crowd gathered to check out the potential recapture and rescue of the snake. "Locals said they had never seen such a huge snake before," the Sun-Times reported. Employees called the "Snake Helpline" and expert snake-catchers were able to come in and resolve the slithery situation. RELATED: Tour Confidential: Are you buying or selling Jordan Spieth stock this year? Bhubaneswar Golf Club is located in the Infocity area of Bhubaneswar, Odisha, a state in eastern India of which Bhubaneswar is the capital. The nine-hole course hosted a tournament on Sunday that included "industry captains" from local businesses and corporations. They competed as a part of the "Make in Odisha" series of competitions. The government of Odisha puts on events in a self-described "flagship biennial business event of the Government of Odisha." The course's website raves about its picturesque setting. "It is surrounded on one side by country’s leading IT companies and stretches of forests and hillocks on the other side, giving one of the most picturesque views from the pavilion of the club house," the site reads. With the python taken care of, it was back to normal business at the club on Monday.